Selecting the right thermometer Fluke 51 Series II Fluke 52 Series II Fluke 53 Series II Fluke 54 Series II Fluke 61 Fluke 62 Fluke 561 Fluke 566 Fluke 568 Fluke 68IS Fluke 572* Fluke 574* Fluke 574NI Fluke 576*... The Fluke 50 Series II thermometers feature fast response time with laboratory accuracy in a rugged hand-held tool. The Fluke 50 Series II contact thermometers have a relative time clock on MIN, MAX and AVG functions to provide a time reference for major events. 51 & 52 Series II Introduction The Fluke Model 51 and Model 52 Thermometers (“the thermometer”) are microprocessor-based, digital thermometers designed to use external J-, K-, T-, and E-type thermocouples (temperature probes) as temperature sensors. Use the thermometer only as specified in this manual. Otherwise, the protection provided by the meter may be impaired. Refer to safety... The new Fluke 50 Series II contact thermometers offer fast response and laboratory accuracy (0.05% + 0.3C) in a rugged, handheld test tool. 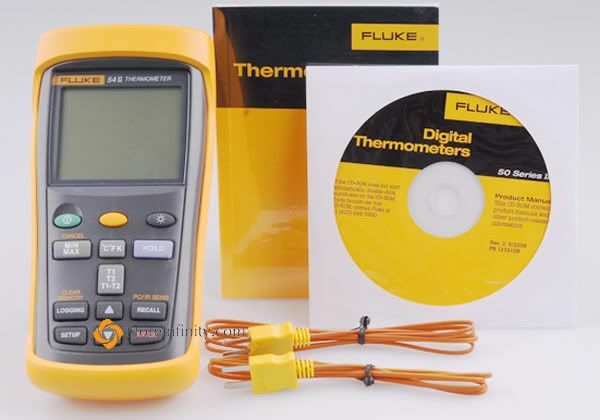 The Fluke 52 Series II digital thermocouple thermometer has two channels and reads type J, K, T or E thermocouples. Fluke 52 II Thermometer. The new Fluke 50 Series II contact thermometers offer fast response and laboratory accuracy (0.05% + 0.3°C) in a rugged, handheld test tool. Fluke 50 Series II Digital Thermometers For troubleshooting systems where temperature is a critical symptom, Fluke's digital thermometers provide you with laboratory accuracy wherever you need it. 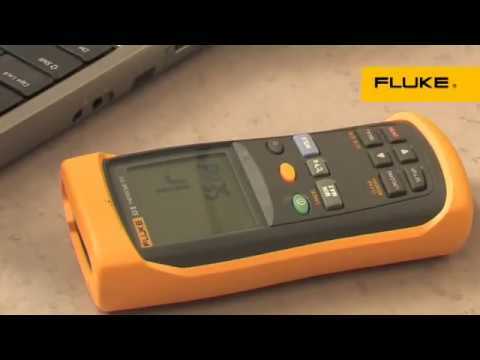 The Fluke 50 Series II digital contact thermometers offer fast response and laboratory accuracy of (0.05% + 0.3°C) in a rugged handheld test tool. 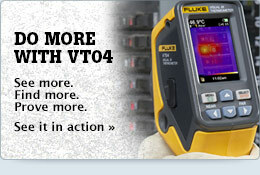 The Fluke 50 Series II thermometers feature fast response time with laboratory accuracy in a rugged hand-held tool. The Fluke 50 Series II contact thermometers have a relative time clock on MIN, MAX and AVG functions to provide a time reference for major events.